Authorities have ruled out terrorist act 2 days into the investigation. 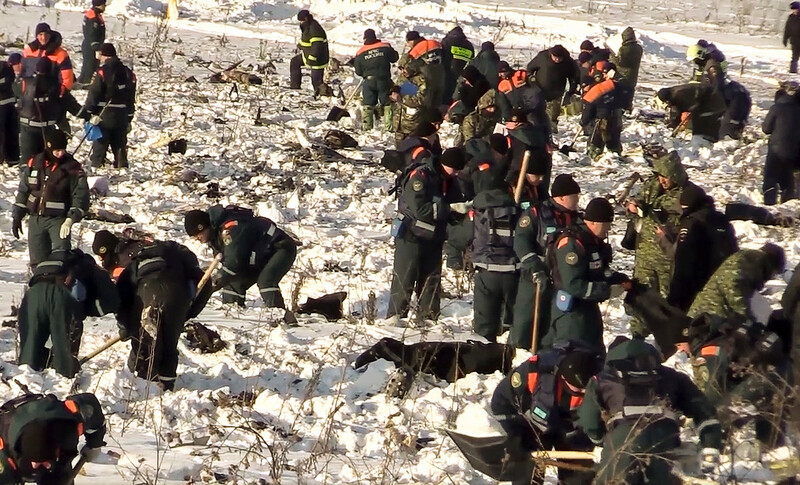 Seventy-one people died when Saratov Airlines Flight 703 crashed in the Moscow Region on Feb. 11. Two days into the investigation and the authorities have ruled out a terrorist attack. 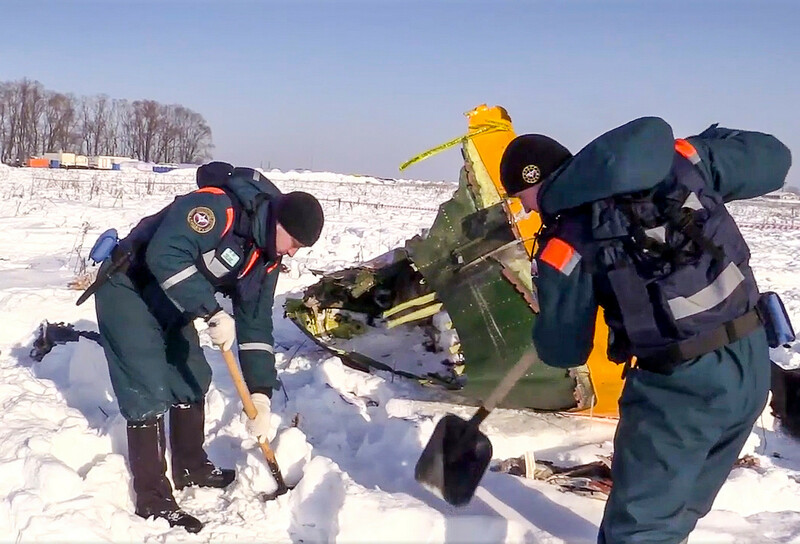 “The An-148 airplane exploded when it hit the ground,” said (in Russian) Svetlana Petrenko, the official representative of Russia’s Investigative Committee. Newly discovered CCTV footage shows the plane exploding as it hits the deck. Some witnesses say they saw an explosion mid-air from the ground, sparking theories of a terrorist attack - but a member of the committee has said they believe the plane was intact before it crashed. 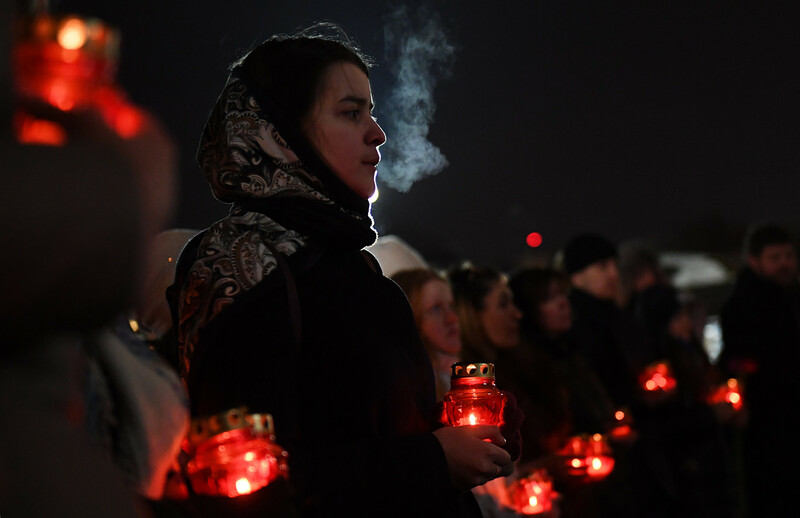 Russia’s Investigative Committee has established a special commission to look into the tragedy but there are still no clear answer as to why the accident happened. 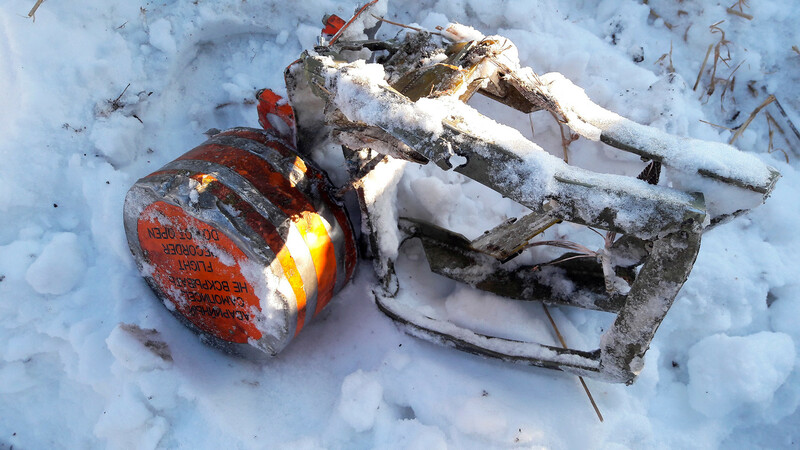 The possibilities of engine failure, ice formation, low-quality fuel, and human error are all being looked at. The committee is going over Saratov Airlines’ internal operations with a fine tooth comb while also scrutinizing events at Domodedovo Airport where the plane took off. It’s thought an engine surge may have caused the crash. “This failure results from a loss of steady air flow through the turbine, which leads to the destruction of the motor,” said(in Russian) aviation expert Sergei Krutousov. The possibility of a bird being sucked into the engine is also not being written off just yet. Another possible cause of the catastrophe might be ice formation on the aircraft’s wings. There are unconfirmed reports that the captain of the plane decided not to undergo deicing prior to the flight, when an aircraft is sprayed with anti-icing agents. An unnamed expert from the Gromov Flight Research Institute interviewed by Life.ru (in Russian) says human or technical error could possibly lead to a fuel line freezing. Usually this problem is prevented by lacing the fuel with special additives, but so far it’s not known if this was done for Flight 703. The Investigative Committee has promised to release the results of the fuel test in two or three days. Cockpit errors or mistakes made by pilots can sometimes lead to crashes. “The engines of the aircraft could have failed due to the fact that the pilots just forgot to turn on the electric pump pumping fuel during takeoff,” Life.ru cites (in Russian) the Gromov Flight Research Institute expert. This, however, is mere speculation. Valeri Gubanov, the airplane’s 51-year-old captain, was an experienced pilot with some 5,000 flight hours behind him. It also appears that the pilots were taken by surprise. The air traffic controller guiding the plane from Domodedovo Airport said the pilots did not report any malfunctions or failures before or during the flight. The plane simply stopped responding to the control tower. “Pilots usually report any emergency to the control center. But they have a rule that prescribes them to fight for the plane’s control and report only after [it has been regained]. If they tried to regain control of the aircraft, they physically could not have reported an emergency due to a lack of time,” said (in Russian) Andrei Bulin, former vice-president of the Federal Union of Aviation Controllers of Russia. Both black boxes, which record the crew members’ communications and flight parameters, have been recovered by the authorities. They have copied the data successfully but need more time to decipher it before drawing conclusions. What happens to other An-148 airplanes now? An-148 airplanes are produced in Ukraine and Russia under Ukraine’s license. The last plane of this type was produced in Russia in 2017 but production ceased as there was no demand. Today, the Ukrainian-made aircrafts operate in Russia, Ukraine, and China. Russia’s Ministry of Defense and Ministry of Emergencies is listed among the owners of this type of plane. Russia’s Federal Security Service also ordered three An-148s back in 2014 but it’s not clear if the planes were delivered. Russia’s Angara Airlines also operates An-148s on commercial flights. 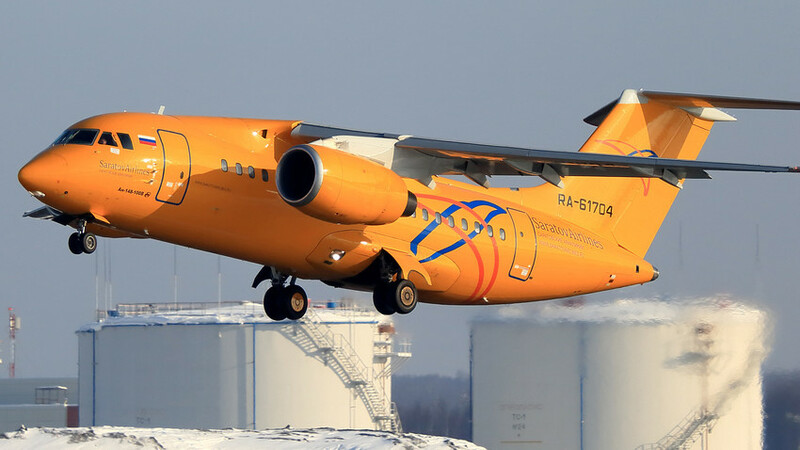 So far, only Saratov Airlines, the owner of the crashed aircraft, announced a decision to temporarily stop using the An-148 airplanes it operates. To see what kind of an aircraft An-148 is click here.